What is now known as the Fashion or Garment District, started out quite differently. When early last century the theater business and district in New York was celebrating its highs, it attracted a myriad of additional businesses that quite literally didn’t see the light of day. 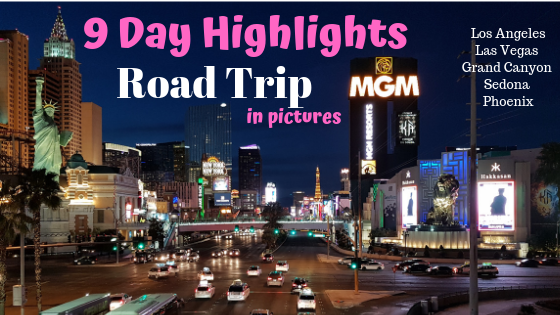 Prostitution, racketeering, gambling and bootlegging were the cornerstones of that part. It resulted in an area run by criminals which earned it the nickname Devil’s Arcade or Tenderloin. Due to this the area was not one anyone would willfully settle in, making rents low and expectations of regular life even lower. With the first World War looming and Jewish people fleeing Europe for fear of what was to come, there was an influx of immigrants, seeking refuge. Since Jewish people were not allowed to own land, the only real choice for housing was in the seedy theater district. With little choice for work too but great skills in manufacturing, commerce and textile, making clothes became the main business. The industry had been changed significantly with the invention of the sewing machine and garments were in high demand. 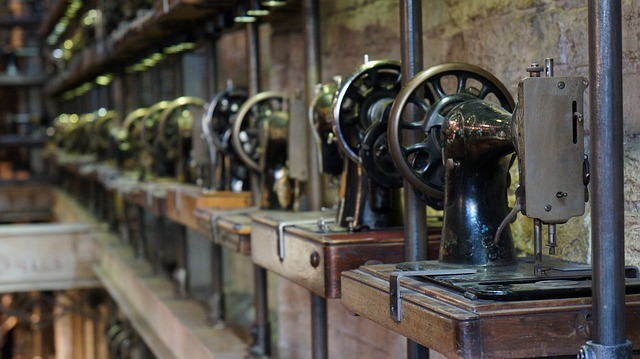 At the end of the nineteenth century, making clothes was done from home basements. After an outbreak of small pox though, regulations were put in place to create factories and thereby better working environments. The latter was a farce because even if the work was now done elsewhere, the circumstances did not improve. Loft factories, aptly named for the top floors where they were situated, were rife with different stresses. Clocks had been introduced to ensure beginning and end times to the work day would be visible. In reality they were often covered up or hidden. 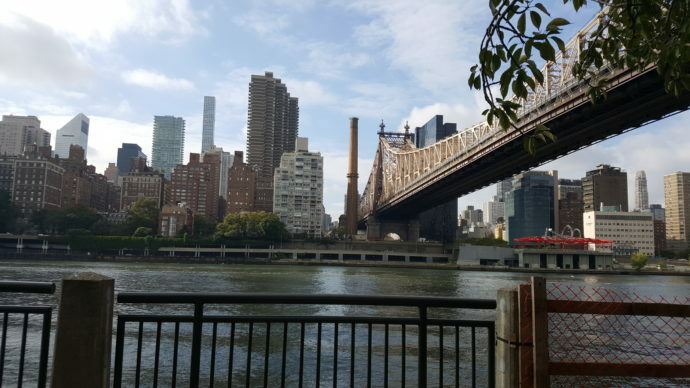 Other pressure measures were bosses who would physically follow their employees to deter them from talking to co-workers, women were in danger of sexual harassment and in worst cases entrance and exit doors to the lofts were locked. Of course, it had to go wrong at some time. When it did in 1911, it cost 146 lives in the Triangle Shirtwaist Factory Fire. During the ensuing ‘The uprising of the 20.000’ workers went on strike, demanding better circumstances and regulations, in effect leading to the formation of the first Union. They sought to ensure actual wages (not just the promise to be paid), abolishing sexual harassment of (mainly female) employees and abolishing docking of pay for the electricity used while at work. With these changes the industry did really well. The factories based on the doorstep of Fifth Avenue, close to their customers, did so well in fact, that the wealthy New Yorkers started to protest. Employees would spill onto the street during lunch or after working hours to window shop, have lunch or meet friends, thereby interfering with the well-to-do residents. Clearly that should not happen! So, the Fifth Avenue Association initiated a campaign ‘Save New York’ to push the garment industry back into the area with 7th Avenue as its limit. Zoning laws achieved just that in 1916 and with less space the industry again reinvented itself by taking a more active part in its existence. More and more brownstones in the former seedy area were bought up and the architects brought in designed new buildings that were built upwards instead of out. Just ten years after the bylaws came into effect, the garment district was the fastest growing construction site in New York presenting the world with the very first skyscrapers and new architectural shapes. In the end, a combination of changing fashion (people no longer wore full suits but started to combine separate upper and lower bottom items), the need for more space and high costs competing with cheaper options, meant the district’s business quickly declined after WWII. 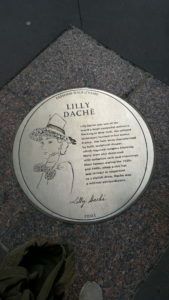 To commemorate this fascinating area and to safeguard what it entailed and still does, the Fashion Walk of Fame was created in 2000 on the very border of the garment district: 7th Avenue. With plaques similar to those on Hollywood’s Walk of Fame it honours American designers who have made an impact on global fashion. 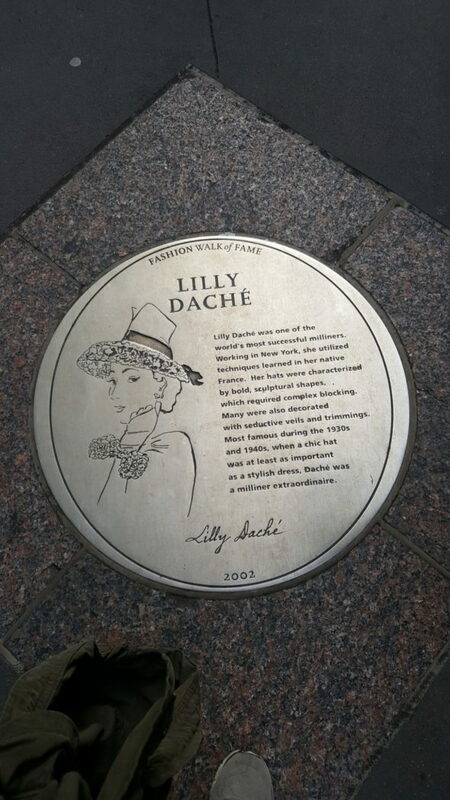 They include well known (more current) names such as Marc Jacobs and Diane von Furstenberg, but also Lily Dache, a milliner originally from France, and Giorgio di Sant’Angelo who designed colourful and ‘freeing’ fashion in the sixties. 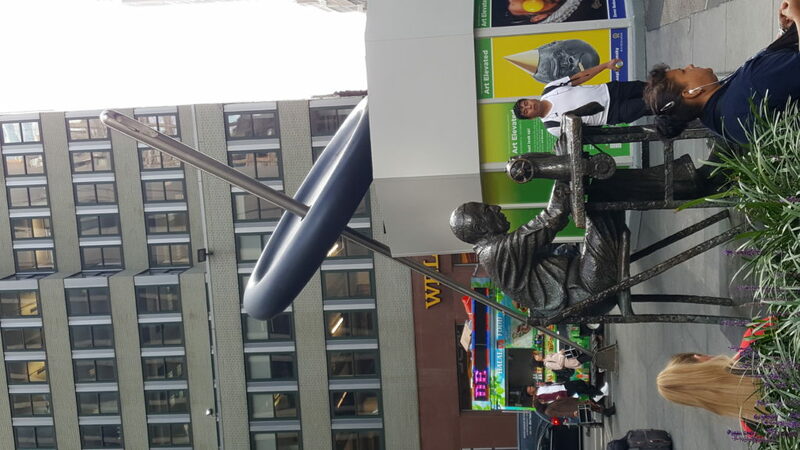 For more information, taking a walking tour to explore the area, hear about its history and see the architecture in the Garment district, find the giant button and needle which is the marker of the Fashion District kiosk. Here at 7th and 39th you’ll also find The bronze statue of a man working at a sewing machine.